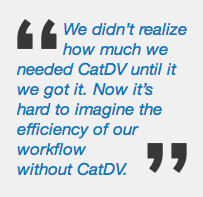 Home » Canadian Tire uses CatDV for its in-house production department. 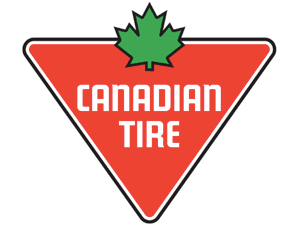 For over 90 years, Canadian Tire Corporation (CTC) has been one of Canada’s most reliable and recognized brands. Its Family of Companies is supported by more than 1,700 locations across Canada, offering a broad selection of retail products, home services and financial services. Recently, Canadian Tire made an unprecedented commitment to Canadian amateur sports. In addition to an eight-year premier sponsorship of the Canadian Olympic Team, CTC announced partnerships with the Canadian Soccer Association, Skate Canada, Hockey Canada, Alpine Canada Alpin, Canada Snowboard and the Canadian Paralympic Committee. The in-house production department serves as the content creation hub, managing and producing media content for all of CTC’s brands, including its national charitable program, Jumpstart. The team, which works with external agencies for content when needed, is responsible for managing and archiving CTC’s historical media assets and preserving its intellection property. Finding a media management solution that could handle the high volume of all the combined media content was not easy; CatDV digital asset management application fit the bill. Another big win was CatDV’s ability to publish photo catalogues via the web client to Canadian Tire’s largely PC-based offices without having to install new software, giving them easy access to media catalogs to share with the other teams and individuals.